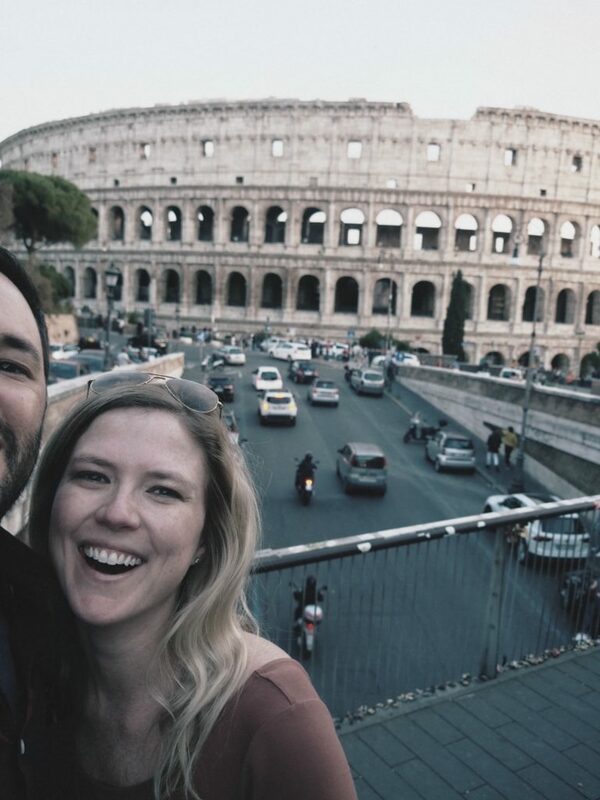 I’m sure there are busier times than others, but for us we were able to be there the first week in October for two days in Rome. The temps were in the low to mid 70’s for the high and we didn’t experience any rain. The evenings did get a little chillier, so be sure to have a light jacket with you when you head out for dinner. 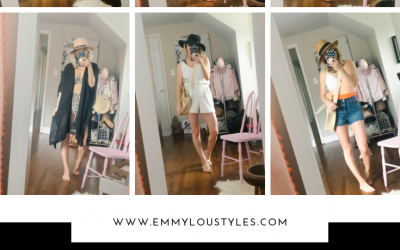 Dressing in layers while traveling is always a good idea! I can’t say enough good things about our Air BnB which was located in the historical heart of downtown Rome. 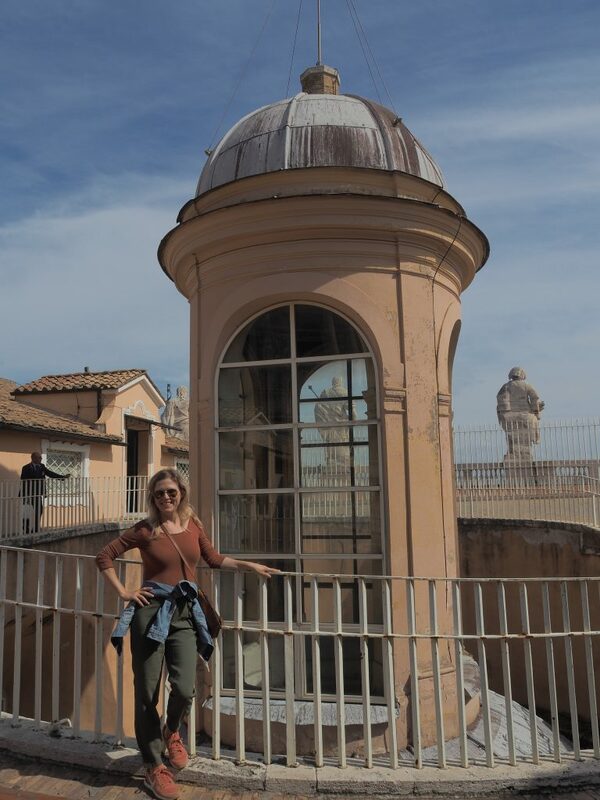 When we walked outside and looked to the right we were literally steps away from the Castel Sant’Angelo. We were only a 1o minute walk from the Vatican, Pantheon, and Piazza Navona. Sadly I didn’t take any pics of the actual room, but I am linking it here. Our host, Alessandro, was so accommodating and everything was incredibly clean! 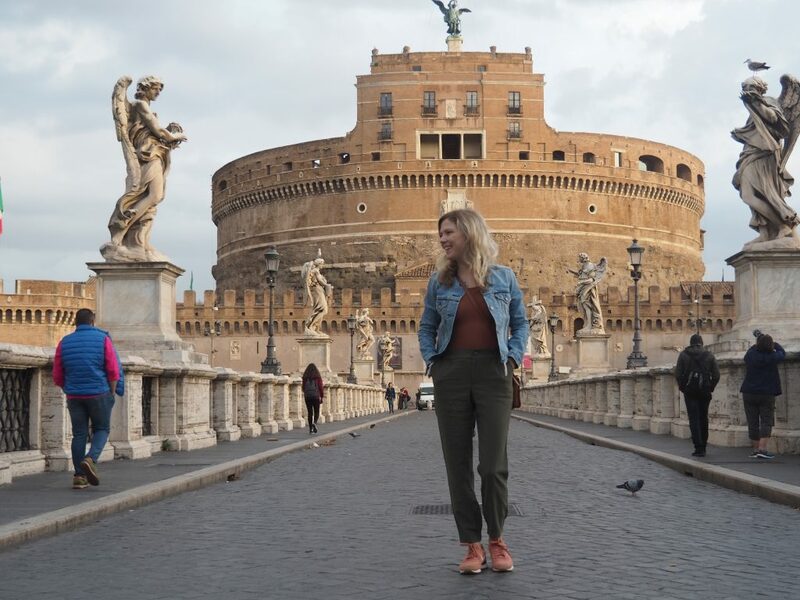 It was the perfect space for our short stay in Rome! I highly recommend if you are looking for a place in Rome. 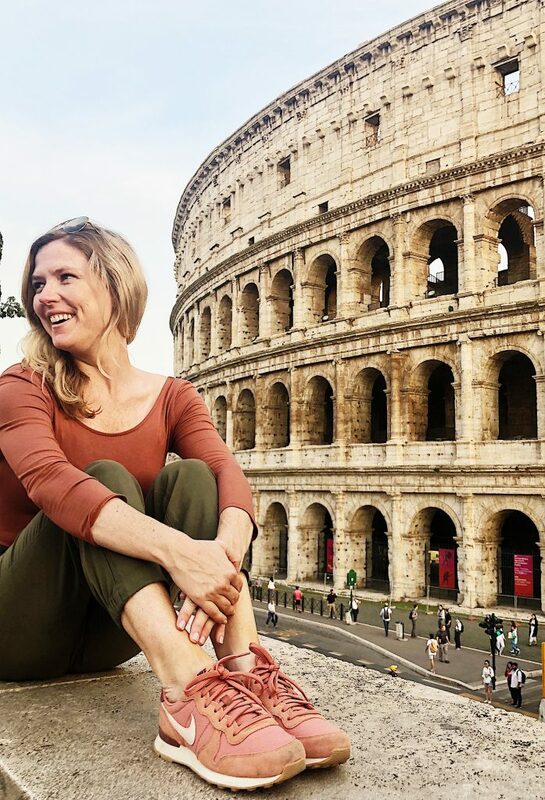 With two days in Rome, I feel we were able to make the most of it and see the top things on our list. I do wish we would’ve had just one more day to take a more leisurely time roaming the city…I suppose this just means we will have to come back and visit again one day! You must buy tickets BEFORE your trip! I repeat, buy tickets BEFORE your trip. 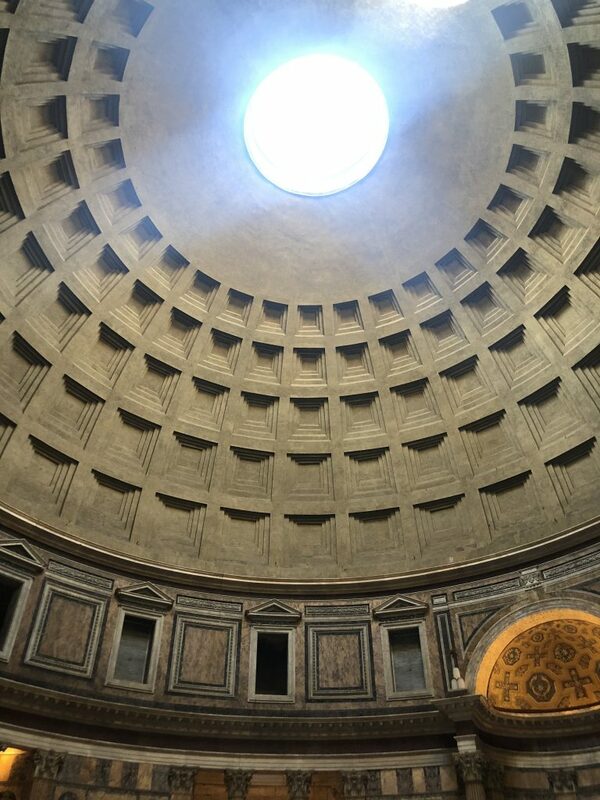 We used a company called City Wonders for our tour of the Vatican and The Colosseum and they were great! The tours were organized and the guides were very knowledgeable. The Vatican is HUGE, and even on the tour that we did, we didn’t get to see all of it. But I honestly can’t imagine touring it without a guide. I’m sure it’s possible, but the crowds in early October were BIG (not as big as they are in July apparently) but I’m talking shoulder to shoulder people through most of the galleries. 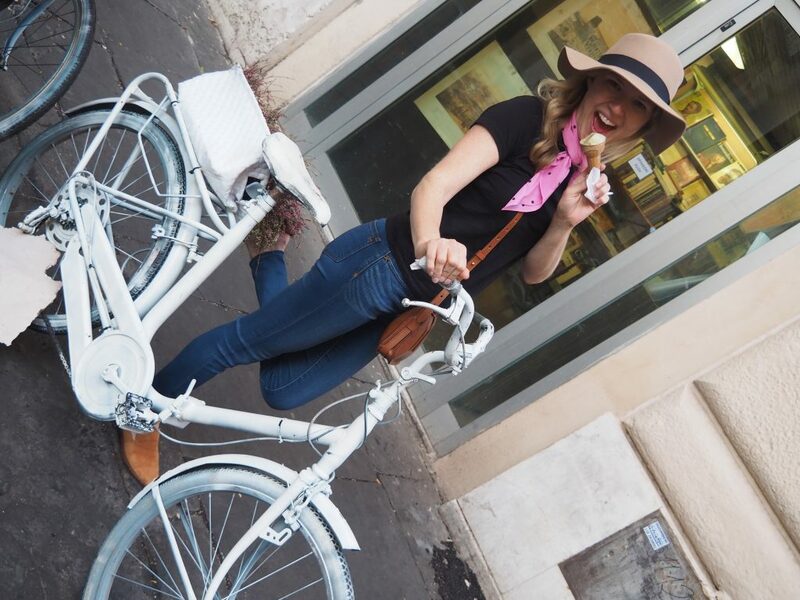 By having a guide, they can navigate things a little better and keep you organized by pointing out the main attractions throughout Vatican City. The tour itself was approximately 3 hours, we started promptly at 9 and ended shortly after noon. 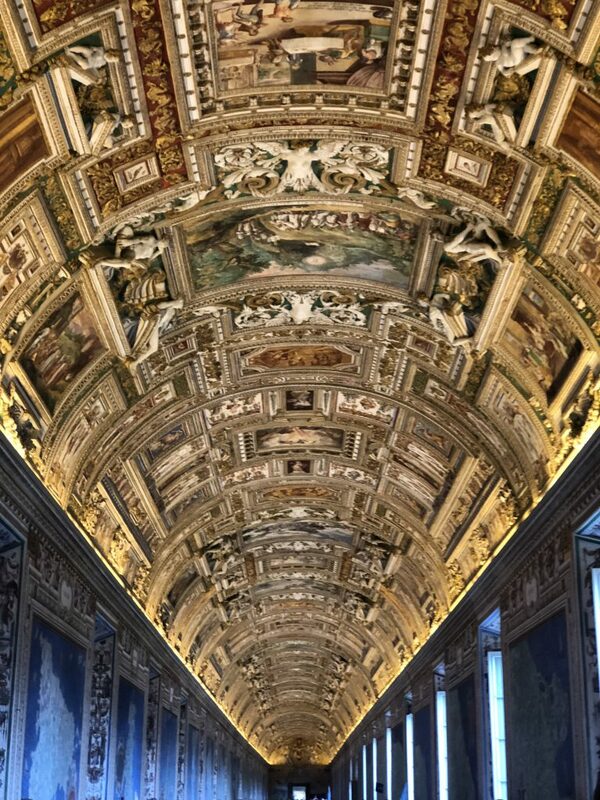 This was my fave part of the Vatican…so beautiful! 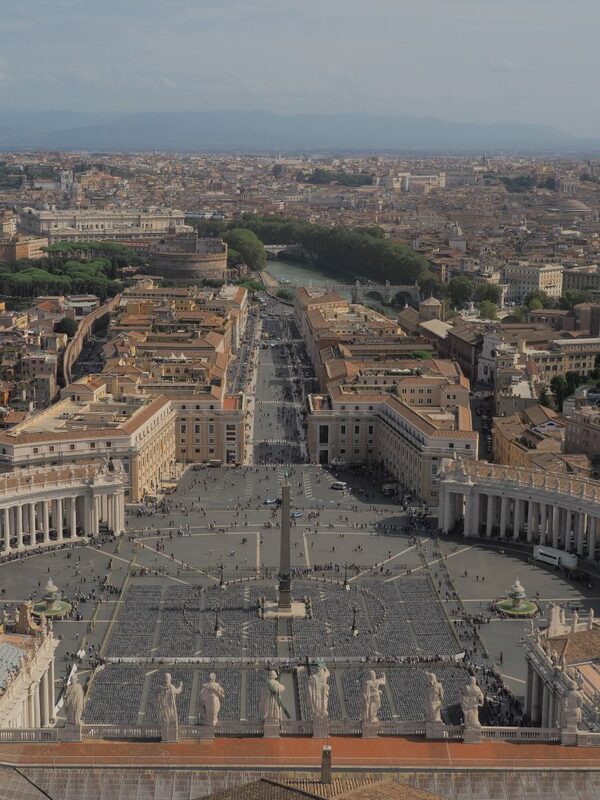 Upon the completion of your tour within Saint Peter’s Basilica, you will have the option to climb to the top of the cloister. The cost is $8 to walk (500+ steps) or $10 to take the elevator (which will only get you part of the way to the top). We chose to walk and I’m so glad we did! What an experience! There are definitely several very narrow spots the closer you get to the top, but the view alone at the end is worth it! Be sure to have a bottle of water handy when you start your trek though, I promise even the fittest of people will get thirsty. 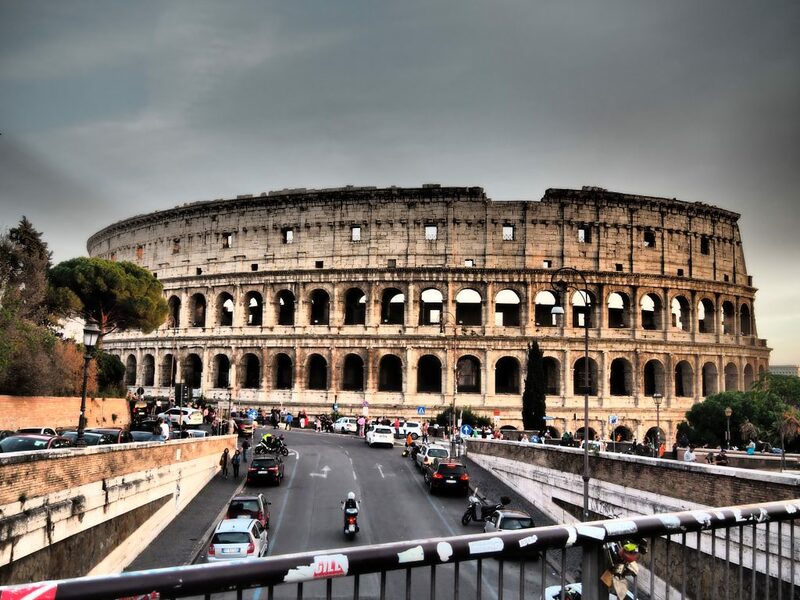 We were able to tour the Colosseum as a package deal with The Vatican through City Wonders. 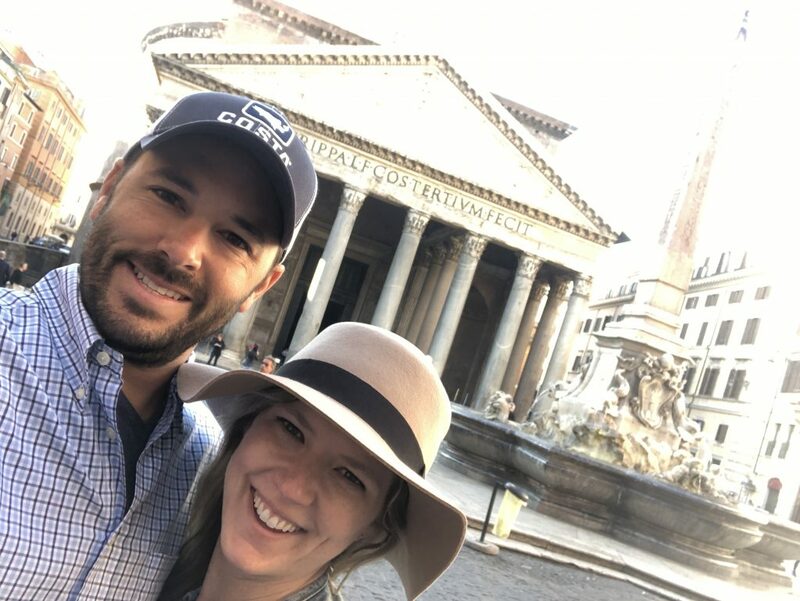 This was awesome because we were able to see the Vatican in the morning, grab a quick bite to eat and cab it over to the Colosseum for a tour in the afternoon. The tour lasted 3 hours. It takes you through the inside of the Colosseum, plus parts of the Roman Forum too. Be sure to snap your IG worthy photos outside the entrance at the top of the ramp that goes down. There is also a bridge near the Colosseum where you can take some great photos too, however beware of people selling trinkets on the bridge. This was the only spot in all of Rome where I felt a little unsafe at one point. We had a pretty aggressive vendor follow us off the bridge harassing us to take one of his bracelets. 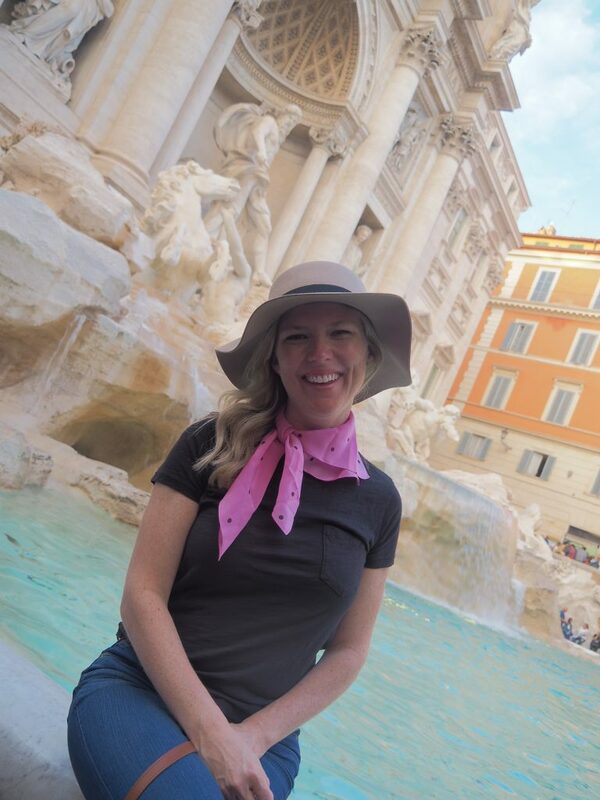 Prepare for massive crowds when visiting Trevi Fountain! Be patient and make your way towards the lower left side (when facing the fountain) to take your pics. Legend has it that if you throw a coin into the fountain, you will most certainly return to Rome in the future. I threw ALL of my coins in there! Again, another tourist haven for massive crowds but still worth seeing! 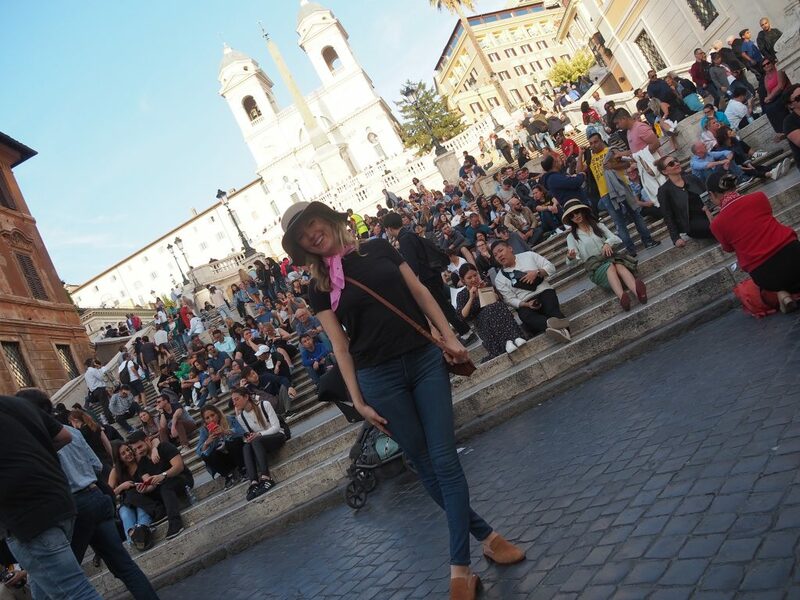 There is an open square at the bottom of the steps where there were people playing music and beautiful flower stands… it truly felt like what I pictured Rome to be like! 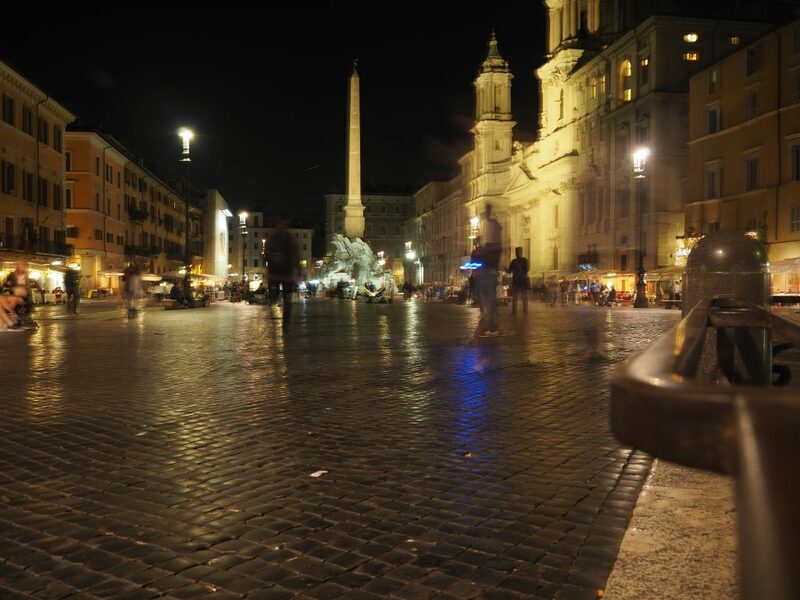 We saw Navona during the day and at night, but I have to say at night was my fave! It’s lit up and people are enjoying dinner right inside the plaza (amazing by the way). Again there is tons of music being played and you will feel like you are straight out of a movie. Ciao bella! Oh man, if I only I could transmit the smells of the leather through these pics! 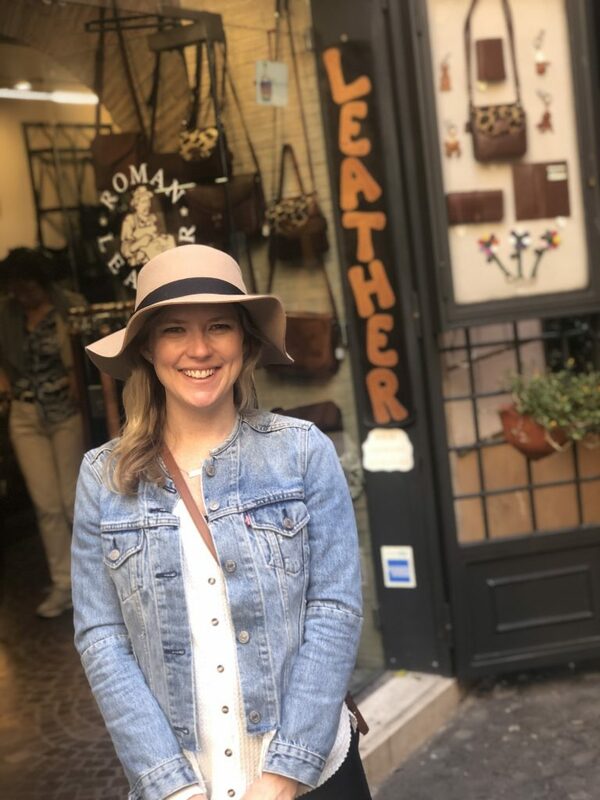 Rome has tons of options for buying a nice leather piece, but in my opinion, there is only one shop that matters. I stumbled upon Laboratorio Pelletteria via Yelp and the hundreds of reviews were accurate. Aldo the owner has been in biz since 1970. 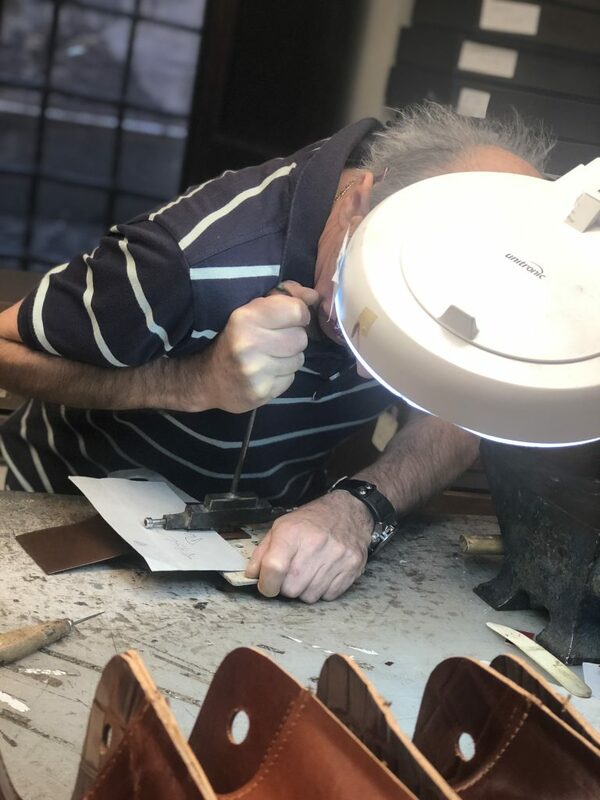 He handcrafts every single piece you see in the shop, and he will even hand stamp your initials on to whatever piece you buy. His sweet personality is as awesome as the pieces he creates. The pride in his work shows, and I feel so lucky to have purchased a bag from him that I will have for years to come! 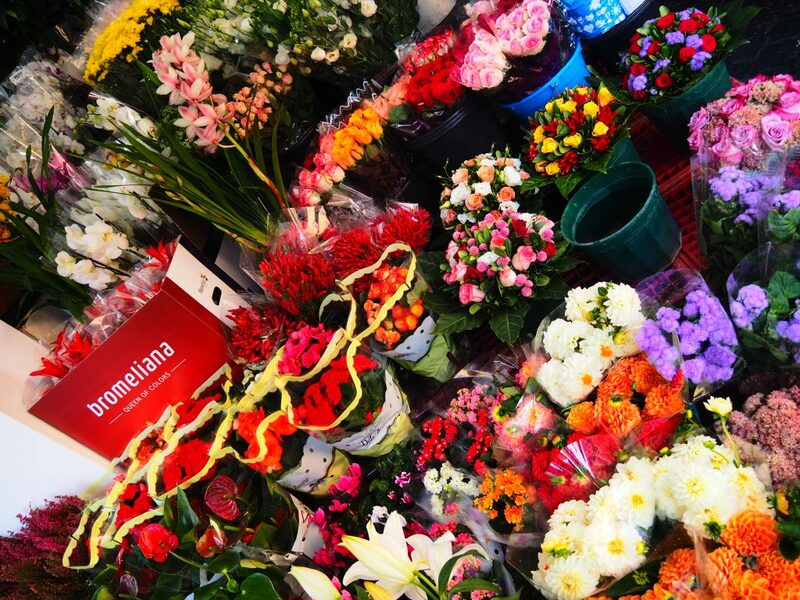 There are tons of options for things to buy for yourself, as well as nice little gifts for your loved ones back home (i.e. these little leather initial keychains were only $5). 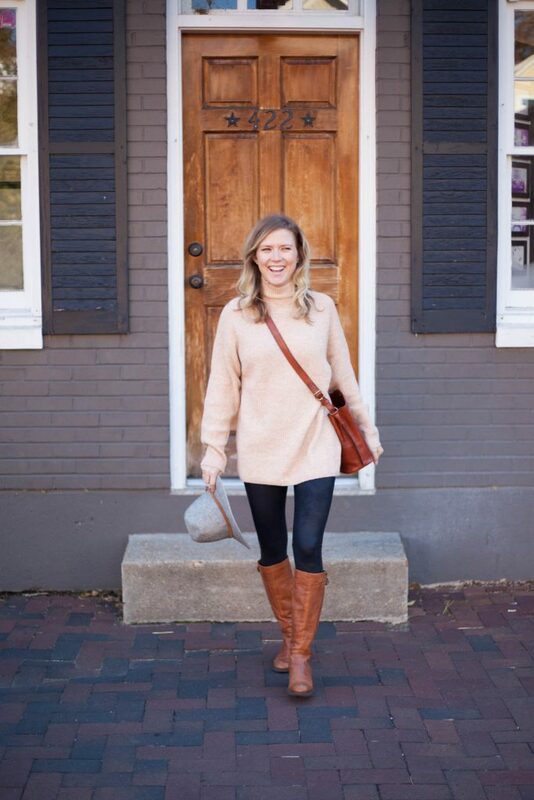 I basically haven’t taken this crossbody bag off my body since buying it from Aldo’s shop! This was one thing on the list that we ALMOST didn’t make it to, but luckily we stumbled upon it before leaving town that morning. It opens bright and early (9am) and it’s free to roam around the inside! 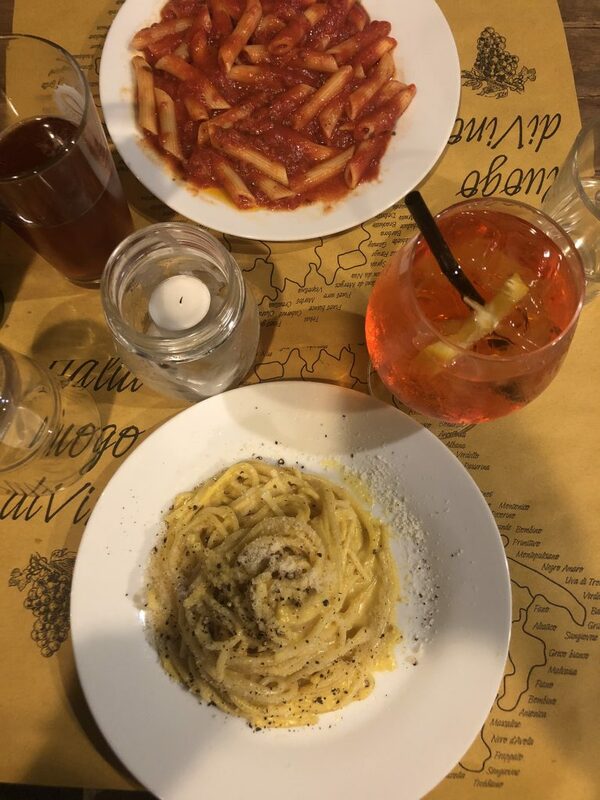 I could probably do an entire post on just the food that you come across in Rome. Cacio de Pepe was my go to and I absolutely loved pistachio gelato! Be sure to check out my post on the top things to do in Barcelona too! Follow me on these channels! This post is so informational and your pictures are to die for! Definitely want to try and plan a trip to Rome if I can! The pasta and gelato looks amazing, I love pistachio flavored anything so I loved learning about a new place to get it! Thanks friend! I can’t wait to read all about your latest travels! And Rome is a must visit!